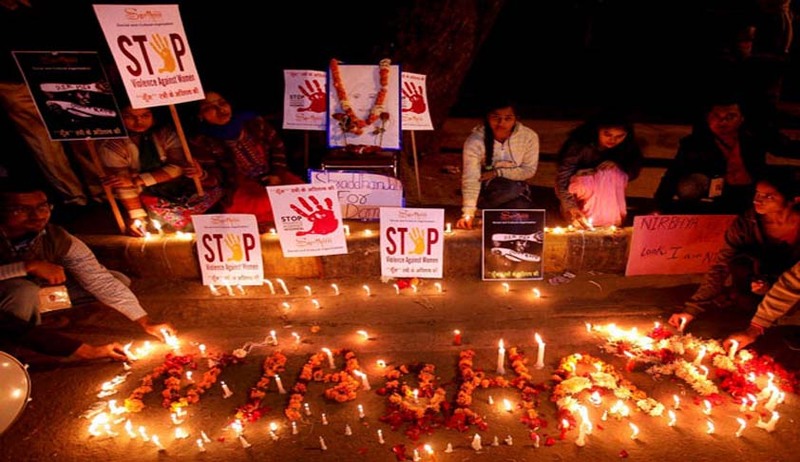 The vacation bench of the Supreme Court today dismissed the plea filed by Delhi Commission for Women challenging the release of the juvenile convicted in the Nirbhaya case saying that “though it shared the society’s concern”, it could not extend his stay in the observation home beyond three years under the present Juvenile Justice Act. “Everything has to be done in accordance with the law. We have to follow the law. Without legislative sanction our hands are tied. We cannot go beyond any statute. Can we ? then what is the interim order you expect from us ?”, a bench of Justice A K Goel and Justice U U Lalit told lawyer Guru Krishnakumar who represented DCW Chairpeson. The juvenile who was released from the observation home in Majnu Ka Tila on Thursday, that is three days in advance due to security reasons, was shifted to the custody of an NGO in Delhi yesterday. “When Additional Solicitor General Pinky Anand rose to support DCW and said “we support their stand”, justice Goel asked her “how can you ? you have not made any law. There has to be some legislative sanction”. DCW told the court that it was not pressing for sending back the juvenile to the observation home and said he only may be subjected to an independent assessment of his mental state to ascertain if the criminal has reformed and was safe to be released into the society. “There is no reformation programme in place even on the lines of what the High Court had directed. In that view his stay in the place where he is presently lodged, with an NGO should be extended”, Krishnakumar argued. Chipping in , Justice Lalit asked DCW: "Suppose the reformation takes another seven or ten years? Do we have to extend the period of his detention every now and then without any legislative sanction?" “You are asking us to interpret the law. But the process of interpretation cannot be by taking away somebody’s rights under Article 20 and 21 of the Constitution that is right to life and liberty”, Lalit reminded Krishnakumar. DCW also said that there was no proof the juvenile had been “reformed” and that intelligence reports had said he was being “radicalised” while in detention. Questioning the High Court’s refusal to stay the release, Maliwal says in the petition that while the government and courts are bound by the provisions of the Juvenile Justice Act, it is necessary to assess the mental condition of the youth in the larger public interest before his release as he is viewed as a threat to society. It is to be noted that on Friday the Delhi High Court had declined to issue orders to extend the juvenile’s stay in the observation home noting that legal provisions under the Juvenile Justice (Care and Protection) Act did not allow for detention beyond three years. “Having regard to the fact that the maximum stay that can be directed in the Special Home under Section 15(1) of the Act is three years and that respondent No.1 would be completing the period of three years by 20.12.2015, there cannot be any direction to continue his stay in the Special Home beyond 20.12.2015,” the bench of Chief Justice G Rohini and Justice Jayant Nath said. The bench was passing order on BJP leader Subramanian Swamy’s petition to extend the stay of the juvenile, claiming that there was no proof he had been “reformed” and that intelligence reports had said he was being “radicalised” while in detention. The Central government had supported the plea. Additional Solicitor General Sanjay Jain had informed the court that the “post-release rehabilitation plan” submitted by the Delhi government was “vague” and did not give observations about the juvenile’s mental state.